A Smartphone App...or an Air Quality Monitor? Health tech depicts the edgy disruption to traditional healthcare practices. Boosted by revolutionary smartphones and innovative connected devices, people’s environmental health can only benefit from the implementation of smartphone air quality monitors. What If Your Smartphone Had a Build-In Air Quality Monitor? Air pollution is becoming a global concern due to the numerous adverse effects it has on people’s health and well-being. It’s not a secret that toxic airborne particles (physical pollution) can be released from multiple sources, such as cars, factories, mold, and even cooking. Note that volatile organic compounds (chemical pollution) can be extremely dangerous. Interestingly, research has revealed that the air people breathe indoors is five times worse than the air outdoors. Considering the fact that people spend around 90% indoors, such scientific findings become way too alarming. Therefore, having a smart indoor quality monitor connected to a mobile device can help people, especially those living in urban areas, measure essential air indicators, such as pollution, temperature and humidity, and reduce health hazards. But Do Smartphone Air Quality Monitors Exist? There’s an increasing number of indoor air quality monitors which can be paired with smartphone devices. Such smart systems scan air quality 24/7 and provide warnings when the concentrations of chemicals exceed the threshold levels advised by the World Health Organization. And there’s an app for this too!, it’s no surprise that indoor air quality apps are beneficial to learn about our home and environment. Wi-Fi enabled sensors not only detect toxic substances but deliver important notifications. In addition, a smartphone app can help users access data and set preferences (e.g. sleep quality and temperature). Smart systems utilize sophisticated sensors, which can help people detect and eliminate hazardous sources of pollution. Any traditional pollution sensor can detect and analyze high concentrations of carbon dioxide (CO2), one of the indicators of indoor air quality. Nevertheless, more sophisticated detectors are able to analyze PM2.5 and VOC substances as well as other hazardous gases (e.g. nitrogen dioxide or carbon monoxide). Note that PM2.5 refers to fine dust pollutants, such as soot or diesel car exhaust. Mobile-based monitors can analyze the levels of humidity (and therefore control mold), dust, and temperature all at the same time. Through remote alerts, beeps, graphs, and color-coded indicators an indoor air quality app can provide instant information on the indoor air quality in the house. In addition, apps are connected to novel cloud systems and medical resources, which can suggest action steps, such as good ventilation tips. There are some novel smartphones, such as CAT S61, which are equipped with a build- in VOC sensor. While nobody can escape from exposure to volatile chemicals, both indoors and outdoors, there are smart sensor systems which can be utilized in the monitoring of outdoor air quality. Note that indoor and outdoor air quality are closely interconnected; for instance, natural ventilation of polluted buildings is not recommended when the air outside is also hazardous. In fact, Breezometer is an outdoor pollution data source which provides outdoor quality information via API, helping individuals and companies worldwide know when it’s time to close the window and turn the HVAC system on or their filtration system. Interestingly, a new Hong Kong mobile app, PRAISE-HK, also provides color-mapping of polluted areas. That’s not surprising: Hong Kong has the highest traffic density worldwide and pollution from mainland China to Hong Kong also contributes to the high levels of toxic emissions. 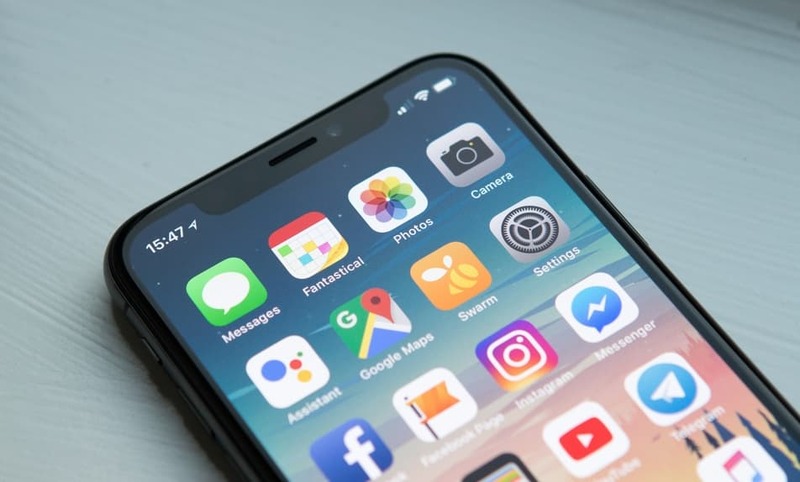 With the impact smartphones and apps have on people’s lives, it’s logical to assume that indoor air quality devices should also be implemented in practice to help people detect and manage high concentrations of toxic compounds. Sensors and apps can be extremely beneficial in the detection of VOCs and other dangerous gases, such as nitrogen dioxide. This is essential in order to improve the air quality in the house. Indoor air quality (IAQ) is important as polluted air can lead to numerous health problems, including asthma, eye irritation, sore throat, insomnia, and nausea. The long-term effects of volatile organic compounds should also be considered because high concentrations of pollutants over years can be fatal. Perhaps soon more and more smartphones will have integrated air quality monitors to help societies breathe in health!